Budding entrepreneurs in Cornwall will be given the chance to see if they have what it takes to succeed thanks to an exciting new collaboration for this year’s Ignite awards. An agreement between Oxford Innovation, which runs Ignite, and the owner of the renowned General Enterprising Tendency Test (GET 2), will allow entrepreneurs entering this year’s Ignite Cornwall Business Plan Competition to access a unique new online tool which assesses their aptitude for entrepreneurial activity. Cornwall’s business community is the first region in the UK to benefit from this test. The test considers motivation, creative tendency, calculated risk-taking and to what extent individuals feel that they control their own destiny. The GET2 Test was developed as a result of research from Dr Sally Caird from her time at Durham University Business School. Oxford Innovation has worked with Dr Caird to enhance the test so that data can be collected which will be of value in better understanding the potential for high growth success amongst entrepreneurs. 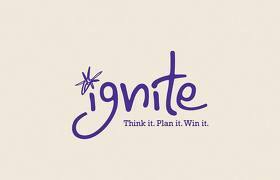 Following the Ignite awards, OI will offer the test to all entrepreneurs and start-up business owners that it works with as part of its coaching programme in Cornwall.